12 Amazing Facts That Almost Everyone Gets Wrong. #6 Will Make Your Life Better. Of course, no one in this world knows everything. Considering the same, we have compiled 12 cool facts that almost everyone gets wrong. You may also like: These Terrifying Ouija Board Facts Will Make Sure You Start Believing In Ghosts. 1. Antibiotics don’t kill viruses. They are totally useless against viruses. They are only influential in killing bacteria. 2. Should’ve is basically a shorter version of should have. A lot of people think that it is a contraction of should of. In fact, should of doesn’t even exist. 3. Frankenstein was the name of the scientist and not the monster. It is one of the facts that everyone gets wrong. 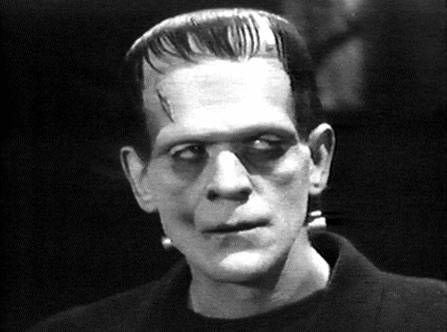 Frankenstein’s monster is a fictional character who first appeared in Mary Shelley’s 1818 novel Frankenstein. 4. The shape of the fish bowls is one of the worst shapes for the fishes to survive. It is a terrible home for fishes. They cannot get enough oxygen in fish bowls. 5. In case you are having a heart attack, Aspirin can save your life. However, instead of swallowing it directly, you need to chew it first. 6. You must have found portable toilets to be extremely smelly. However, they have vents at the top of it for the smell to be pumped out. However, for this system to work, it is necessary for everyone to put the toilet seat down when they are done. 7. There is a high possibility that the fruit referenced in the bible might not have been apple specifically. The word “peri” is used in the book. It just means “fruit” in the Hebrew language. 8. Of course, the colour of your blood is always red. It is red even while it is in your veins. However, your veins appear greenish blue because of the way the light shines on your skin. 9. There is a popular story of Rosa Parks to refuse to give her seat to a white person. However, Rosa Parks was not the first person to do so. This is yet another fact that almost everyone gets wrong. Claudette Colvin did the same thing 9 months earlier. 10. There is a myth that daddy long legs are the most venomous spiders in the world and that their fangs are too weak to penetrate human skin. However, this is not true. They can actually bite humans and their bite only produces a mild stinging sensation. 11. If you plug your earphones into the mic, they can function as an extremely bad quality microphones. 12. Most cars have an arrow to tell you which side the fuel cap is on.